Dimension: As per Client Drg. 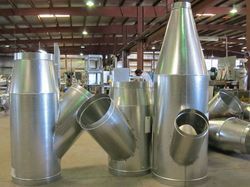 We have acquired a distinct position in the worldwide markets for offering Mild Steel Hopper. 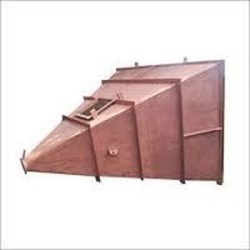 The Mild Steel Hopper offered by us are manufactured using high quality mild steel. These hoppers are made available in the market at most economical prices to attain clients utmost satisfaction. Mild Steel or Stainless steel as per Customer Requirements. Organ Welded to best finish. We are looking queries mainly from North India: Chandigarh, Punjab, Haryana, Himachal Pradesh, Jammu & Kashmir. We are engaged in manufacturing a wide range of M.S Hooper in Kanpur, which is fabricated in line with the international quality standards. Sturdy and robust in construction, these heavy duty M.S Hoppers are widely appreciated by our clients for high service life. Available in various heights and thickness, these are self-supported with wrought iron stands. We are leading manufacturer and supplier of wide range of Surge Hopper, which is fabricated in line with the international quality standards. Sturdy and robust in construction, these heavy duty M.S Hopers are widely appreciated by our clients for high service life. Available in various heights and thickness, these are self-supported with wrought iron stands. We are a highly acknowledged organization, engaged in presenting a remarkable range of Mild Steel Hopper.